The Sustainer Council of the JLSF and the Women at the Center Honoree Selection Committee are thrilled to announce our 2018 honorees – Sally H. Coates and Elizabeth J. Folger. These extraordinary women were selected because they are both truly visionaries who have given generously of their time, energy, and resources in an effort to further philanthropic causes and improve our community. Their lifelong commitment to volunteerism, community leadership, and vision are inspirations to others. Learn more about these accomplished women. Sally has over 30 years of both professional and volunteer nonprofit experience. 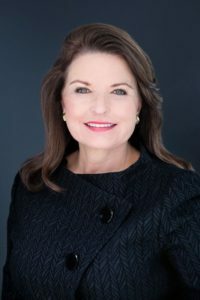 Her three Executive Director positions have been with the Court Appointed Special Advocate Program in San Francisco, Episcopal Charities of the Diocese of California, and the San Francisco Bay Area affiliate of the Susan G. Komen Breast Cancer Foundation. Highlights of her volunteer experience include being President of the Junior League of San Francisco, Inc. (1995-96) and Chair of the Board of Guide Dogs for the Blind (2002-04). Sally currently serves on the Boards of the Episcopal Senior Communities Foundation and Friends of Child Advocates of Placer County. She also is on the faculty of the Impact Foundry, the Northern California nonprofit resource center, where she teaches courses in nonprofit organizational development and finance. Professionally she is an operating partner in a family-owned company that develops and consults regarding integrated software solutions for a wide range of nonprofit workflow management challenges. She has used her professional and volunteer experiences to start her own nonprofit consulting company which mentors and coaches nonprofit executives and Boards, as well as consults on strategic planning, organizational development, team alignment, and productivity improvement. Sally and her husband Cullen live in Lincoln, CA and have two grown children, Elizabeth Coates James, and Alexander Cullen Coates. 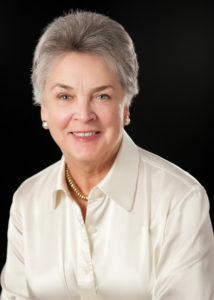 A Bay Area native, Elizabeth J. Folger is active in several Bay Area organizations. She is proud of her work on behalf of the San Francisco Symphony in her role as the Volunteer Council Chair, her efforts on behalf of the San Francisco Symphony Youth Orchestra, and her long-term active participation on the Symphony Board of Governors, which resulted in her designation as a Life Governor. Elizabeth has utilized her broad experience and belief in the power of volunteers in her work with multiple organizations including the American Red Cross, focusing on community emergency preparedness; the Salvation Army and its work to serve the ever-growing aged out foster youth population; and the Arthritis Foundation, raising funds to assist the many children and adults who suffer from this disease. She is currently managing a Worth New York agency, based in San Francisco and Marin. She is the President of the Metropolitan Club. Elizabeth lives in San Francisco with her husband, Robert J. Eldred, a financial advisor and their Cairn terrier, Scout.